Nilufar Islam developed the drinking water quality index tool while working on her PhD at UBC’s Okanagan campus. 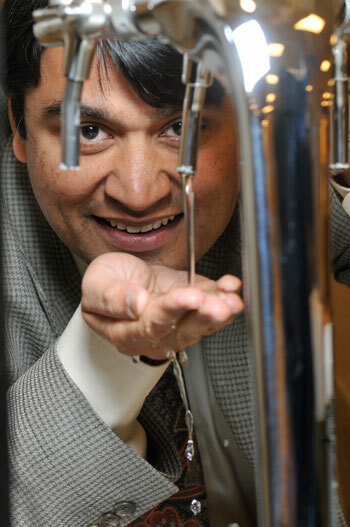 UBC engineers have created a tool that will help municipalities measure water quality, as a way to ensure clean and safe drinking water is coming out of the taps. 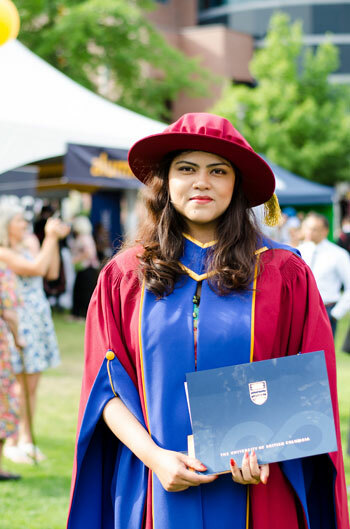 Nilufar Islam, who recently received her PhD from UBC Okanagan, has spent the better part of her career creating methods to improve drinking water quality. Working with Professor Rehan Sadiq, associate dean of the School of Engineering and Professor Manuel Rodriguez from Laval University, she developed a water quality index to improve the interpretation of drinking water quality in distribution networks. Disinfectants, commonly used in water to ensure it is safe to drink, can react with natural organic matters in the water, or the distribution system, to create disinfection by-products (DBPs). These DBPs including trihalomethanes and haloacetic acids are known to have potential reproductive and development effects. Noting it’s almost impossible for the general consumer to interpret complex regulatory violations, Islam and Sadiq created a tool, known as the non-compliance potential (NCP) index, to make interpreting measurements of diverse water quality parameters as easy as possible. The index has been used recently to study water distribution systems in many Canadian cities. Rehan Sadiq, associate dean in the School of Engineering at UBC’s Okanagan Campus. The NCP index is designed to merge difficult to understand data into simple indicators that show municipalities whether their water systems are, or are likely to, contain unwanted byproducts that are created when disinfectants react with organic materials in the water system. “As many small municipalities do not have the technical and financial resources to collect and decipher water quality data on a regular basis, tools such as the NCP index could help them target how and where they spend their time and money,” explains Sadiq. In assessing the benefit of the NCP index, researchers measured water quality at various points in several water distribution systems. They then measured the systems to determine which areas had or were most likely to have compromised water quality. According to the 2016 Canadian Infrastructure Report Card, municipal governments own nearly 60 per cent of Canada’s core infrastructure, including $207 billion worth of potable (drinkable) water infrastructure. The report card, developed by the Canadian Construction Association, Canadian Public Works Association, Canadian Society for Civil Engineering, and Canadian Federation of Municipalities ranked 29 per cent of Canadian drinking water infrastructure as fair, poor or very poor. The study, funded by the Natural Sciences and Engineering Research Council, was recently published in the journal Environmental Monitoring and Assessment.